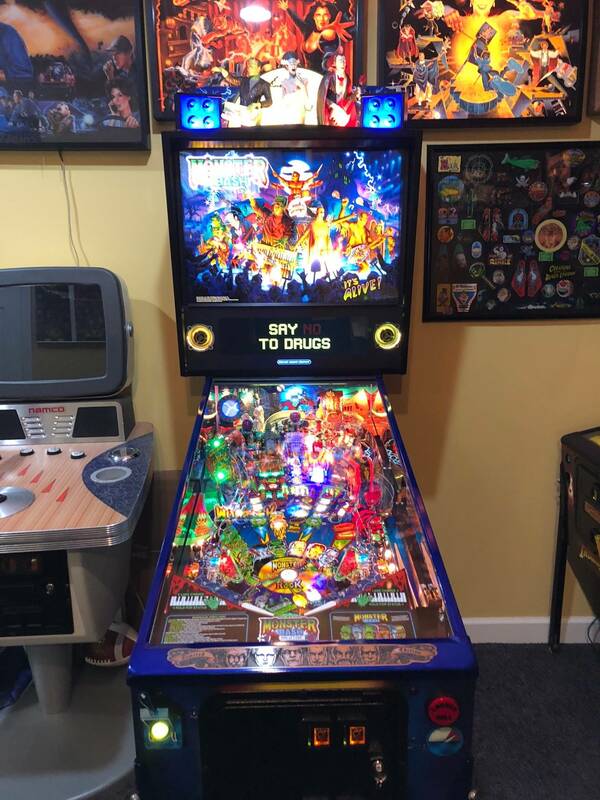 » Forum » All Pinball » When is MBR LE a $12,000 new in box game? » When is MBR LE a $12,000 new in box game? When is MBR LE a $12,000 new in box game? Thinking about getting an LE, but should I open it and play the crap out of it. Or pack it away for x number of years, what does x= ? It is that price when someone is willing to pay it. You should buy a HUO one and save a bunch of money, and play the crap out of it. I think those days are over. Open and play the snot out of it. NIB games have been dropping in value when they hit the secondary market. The market is saturated, and there are plenty of new games to go around. Buying a NIB game as an investment isn't really going to work for the most part these days. If your into pinball for investments.. your in it for the wrong reason. Play it. Inflation could eventually make it a $12000 game but then it really is not worth anywhere near that in today's money value. I would not count on it though because of market saturation and general economic conditions that may occur to affect the price/value of pinball machines. Get games to enjoy them while assuming you will lose some value and be pleasantly surprised when/if something you own ends up going up in value. 2035 is my best estimate provided they stop making them in the next year or so. Buy a used one and play it. Don’t be that guy with the boxed Star Wars toys in a display case. Its not gonna go up in price they are making 1250 in just le and unlimited others. Buy one to play bc pinball is not a investment especially now with so many new companies and new pins coming out. You might be on to something. You just have to wait for all pinball manufacturers to go out of business, and hope that world war III doesn't knock out electricity and that you'll be alive still when that happens. Sounds like a sound investment. I bought a MMR new in box for $13,500+ Canadian, not including the colour chip, speakers, Cliffys, etc. I just sold it for $11,000. You're not going to make any money keeping these games in a box. Play it and enjoy it. A CD would have a better guarnateed rate of return and that ain't much. A BM66LE NIB is another question. Probably could make money on that but they aren't still offering those. It's a remake and a dime and dozen. Open and enjoy. It is right now!!! Buy it in usd and sell it 12000 canadain! Other then that probably wont happen. Buy it, hang onto it, and sell it to me for $5k when the hobby goes through a down cycle. Thanks everyone. Looks like I’m unboxing a game soon!! So I opened it!! Thanks for the good advice. Ok, just saw you unboxed, no brainer absolutely gorgeous fun awesome pin! No kidding. Enjoy it. It's not my fav pin but absolutely gorgeous and fun to play. All star classic. Pointless to keep in ugly brown box. Not true when buying an LE. That may be true for pro's, premiums, and other non LE's, but there is always collectors in search of LE's everyday abs willing to pay top dollar for those in perfect condition. Absolutely awesome!!!! Looks like mine!!! I just unboxed mine today and I'm putting Pinstadiums in it tomorrow!!! As someone who flipped a Ghostbusters LE without even getting the game, those days are over and only getting worse. The market is flooded with non stop releases and if Deeproot really does do anything it will only get worse. Especially after 5 to 8 years . Of course it also depends on the game to. You said it. Nothing special. Any LE over 500 really isn’t rare. Anything over 1000 really isn’t a limited edition as just like AFMr LE’s can still be bought NIB years later. I am hearing they are finally almost to end of supply. With unlimited SE’s available and unlimited vault editions from Stern as long as they sell not really any NIB appreciation anymore. Like Ghost Busters, Star Wars, Hobbit, MmR, Wiz of Oz, Dialed In, AFMr and other new games. You lose money on every new purchase lately when you resell as to many of them out there and trading hands. A lot of MBr’s trading hands on the used markets already. When you take in taxes shipping and mods they are most likely all losing money. Play the game and have fun is the key. DONT do it!!!! Its got enough color!!!! I like exclamations!!!! If you don't open it and play, what is the point of buying it? Exactly. Dont speculate on remakes. The 12th of never.... It's a remake, open and play the heck out of it, get bored, sell it and buy something else.